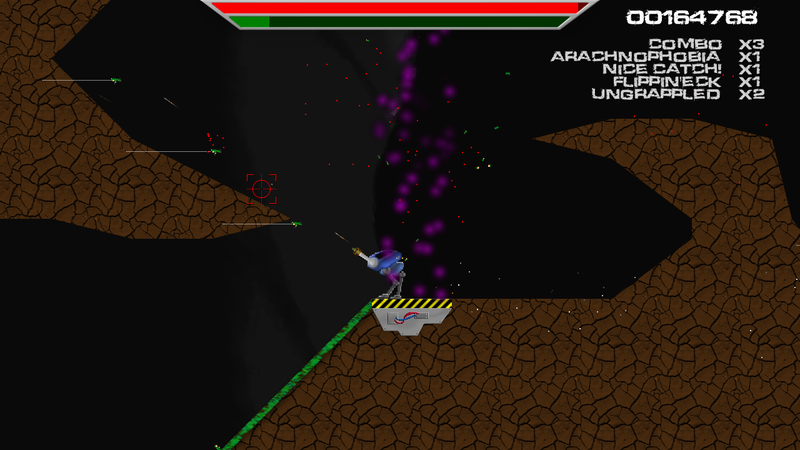 I'm powering into February with GravWalker, a gravity-defying shoot-em-up that takes inspiration from the Amiga game Walker. It was one of my favourite games on my favourite platform and I think I've done well by it. I've also used the idea of a 360-degree rotating tilemap to create what I believe is a pretty fun and unique game. Download and play or just watch the video and I think you'll agree! 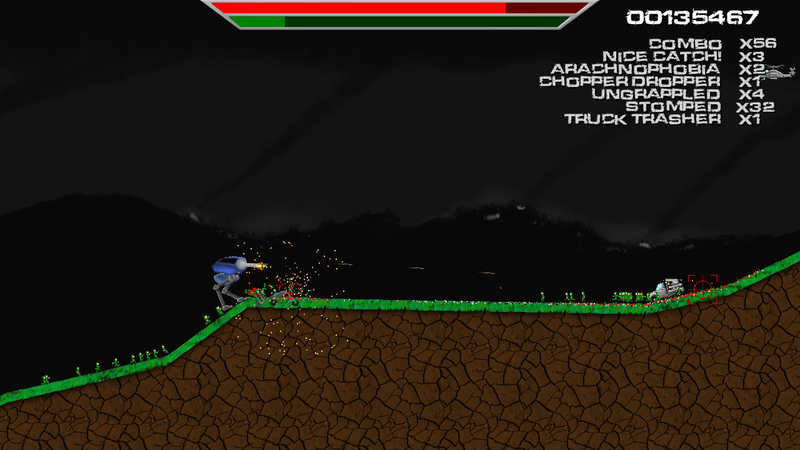 For this month's game I've pushed myself to do as much of the graphics as possible by myself. I want to get better at creating 2D art and although I realise I will never be as good as I need to be, I at least want to get to a level slightly above "programmer art". For GravWalker, I drew and animated the majority of the game sprites myself. 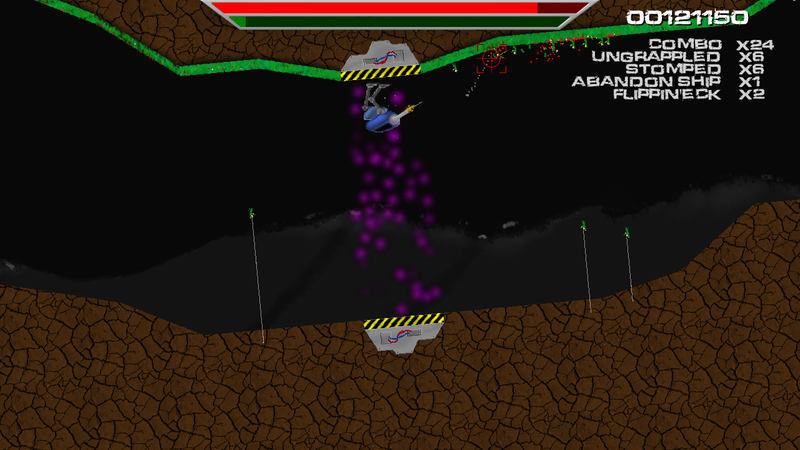 I made judicious use of particles to add to the eye candy - and to mask some of the flaws in my art! You may notice that I'm releasing this in the middle of February. 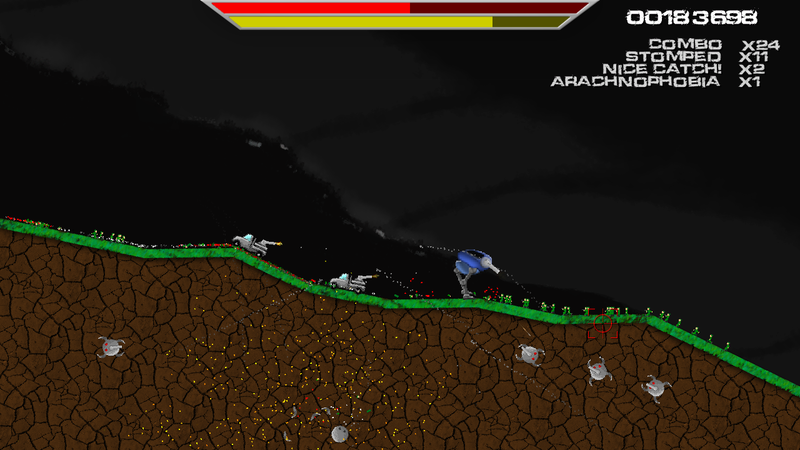 Why am I releasing now instead of using the remaining week-and-a-bit to add more to the game? 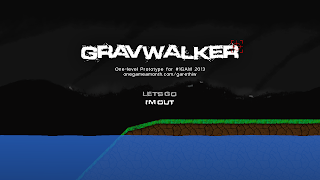 Well firstly, GravWalker is a complete one-level prototype that has a beginning, a middle and an end. 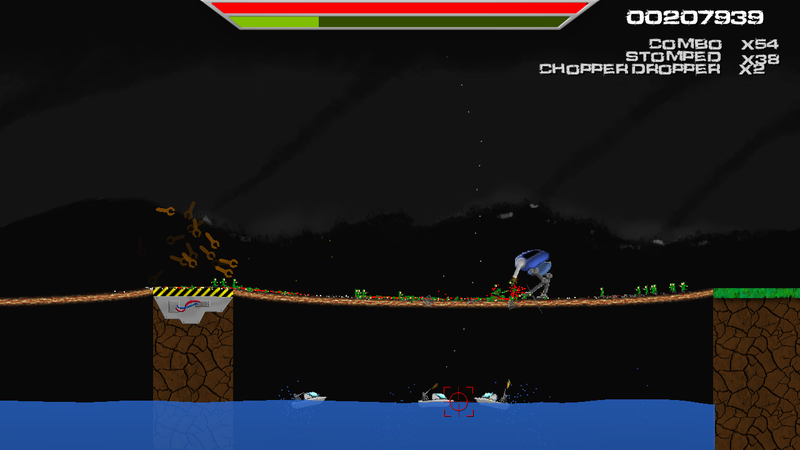 To create more levels and expand the ideas into a full game would take me well beyond the end of February. Secondly, I wanted to get ahead of time in the One Game a Month challenge because my March game is taking me outside of my 2D comfort zone and into the realm of 3D. Keep an eye on my Twitter to see more of that over the coming weeks. Now I have a whole six weeks for the next project which gives me a good safety buffer. 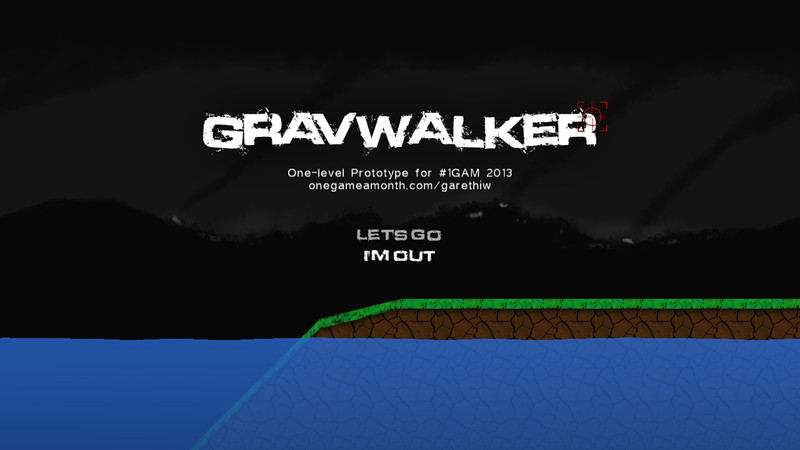 GravWalker was created in 30 days, beginning with an exploratory prototype on the 17th January. 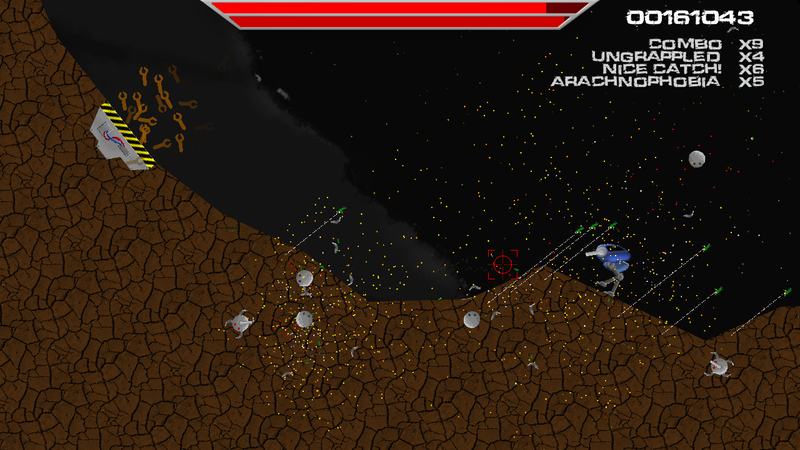 I would say an average of 20 hours per week was dedicated to the game once the initial prototype was running. deviantArt user ~gregah for the helicopter sprite that I used for inspiration for drawing the other vehicles. As always, the Windows version is ready to go. If it doesn't run, you may need to install OpenAL. And a test Linux download. Disclaimer: I am not a Linux user. I have cobbled together a package that runs on a FRESH Linux Mint 14 without installing any other dependencies. YMMV. Use the .sh script to run the game. If it doesn't work, try it from a terminal: "mono GravWalker.Mono.Linux.exe". Running from a terminal will give you a an error dump that you can copy and paste into a comment below. Please send me a tweet @garethiw if you manage to run the Linux version successfully!